It is important for students to learn how words are spelled so that others can comprehend what has been written. Serravallo cautions that we shouldn't assume that spelling errors mean that students are being careless, but that they are writing the way they know how. 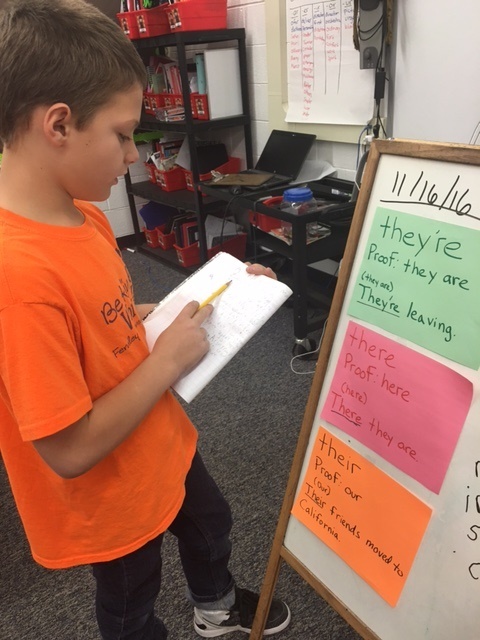 She suggested using a spelling assessment, such as the spelling inventory from Words Their Way, in order to learn more about your students' spelling understandings. * show they are ready for this strategy based on spelling inventory. 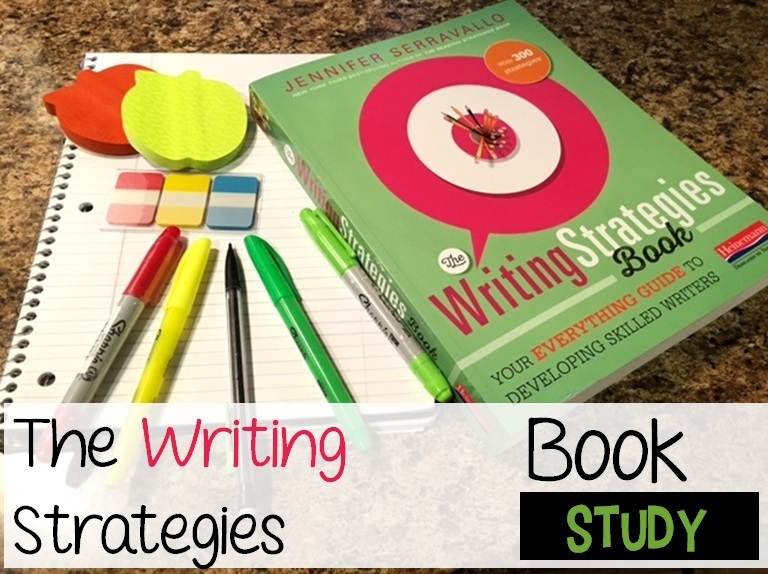 * have writing samples with a high frequency of certain types of spelling errors. This strategy teaches the child to say a word they are having trouble spelling slowly. They should first record the beginning sound. Then they say it again listening for the middle of the word. They check a vowel chart to see which letter or letter combinations might make the sound. 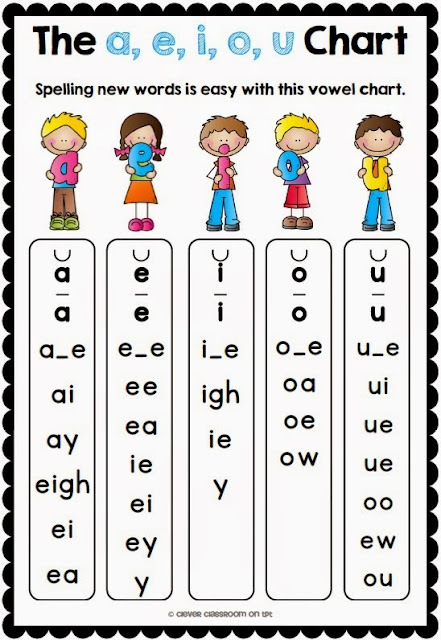 Here is an example of a vowel chart from The Clever Classroom. When a student tries to spell a word (or attempts to correct the spelling of a word), they should ask themselves, "Have I seen this word written somewhere else before?" They should check resources such as books, word walls, personal dictionaries, etc. 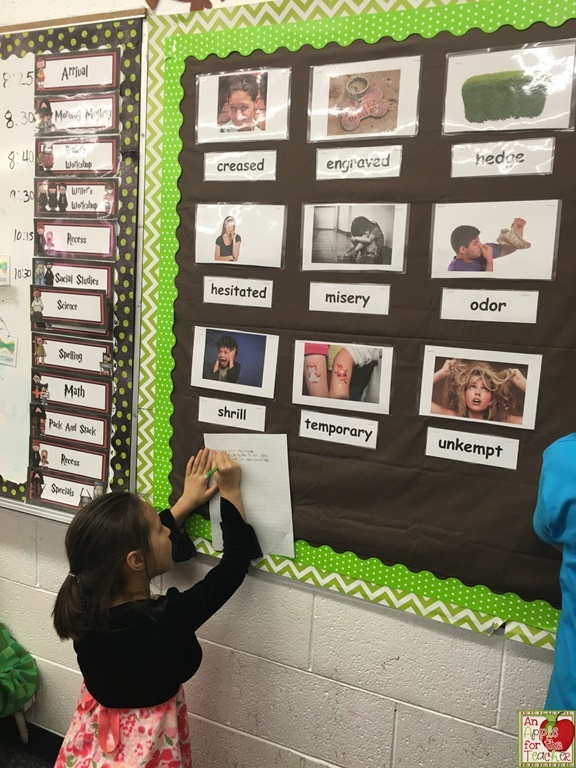 This strategy asks students to think about words they know how to spell that might sound like a word they know. For example, if they were trying to spell the word "exit" they might think about the word "it" to help them spell it. 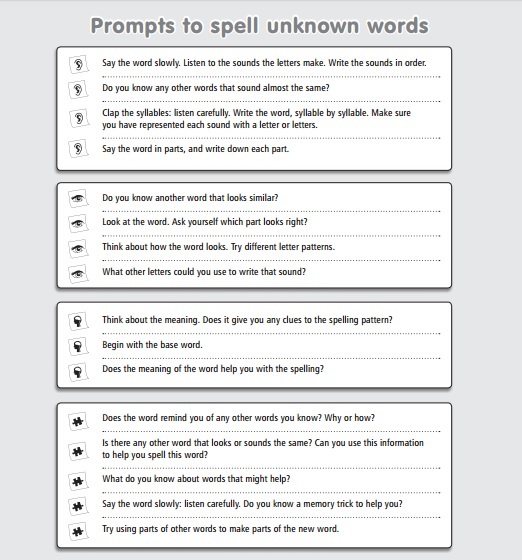 This page features prompts students can use to help them spell including these strategies and several others. You might want to print it out for your students to refer to. 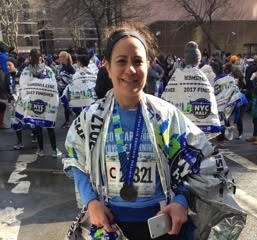 Make sure to visit Katie over at Running for Literacy. She is our official hostess for this week, and she has some more strategies and great ideas for you!